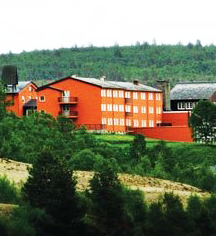 As today's largest hotel amid the mountain ranges of Norway, Roros Hotel started from humble beginnings. The property was established in 1951 and began as a hopeful endeavor to boost the city of Roros' economy after the downfall of the copper mining industry. Today, the spacious and comfortable 156 guestrooms and suites, premier meeting venues, and popular restaurants and bars are proof of the success. While located just minutes from Roros' city center, the hotel provides an intimate escape from the urban scene. Adjacent to the property, hiking trails and wilderness adventures, with historic attractions along the path, offer a refreshing experience to connect with Norway's finest natural gifts. Roros Hotel, a member of Historic Hotels Worldwide since 2012, dates back to 1951. 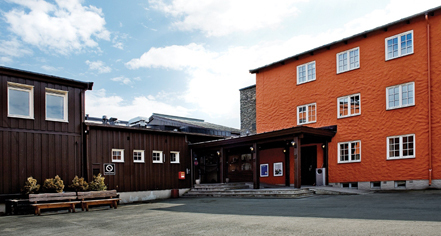 An integral part of Røros’ shift from a mining town to a tourist economy, the Hotel offers seven wine and two beer sommeliers to showcase the best of Norway. Adjoining Rooms: Please contact hotel to inquire into availability at time of booking. Airport Transportation: WIDERØE Airlines provides service from the Gardermoen Airport; upon arrival, a taxi ride to the hotel is only a few minutes. Cribs and Pack-in-Plays: Available upon request; NOK 60. Parking: Self-parking: Available, complimentary. Valet parking: Not Available. Rollaways: Available upon request; NOK 300 per day. Smoking Policy: Rooms are non-smoking. As today's largest hotel amid the mountain ranges of Norway, Roros Hotel started from humble beginnings. The property was established in 1951 and began as a hopeful endeavor to boost the city of Roros' economy after the downfall of the copper mining industry. Learn more about the History of Roros Hotel .